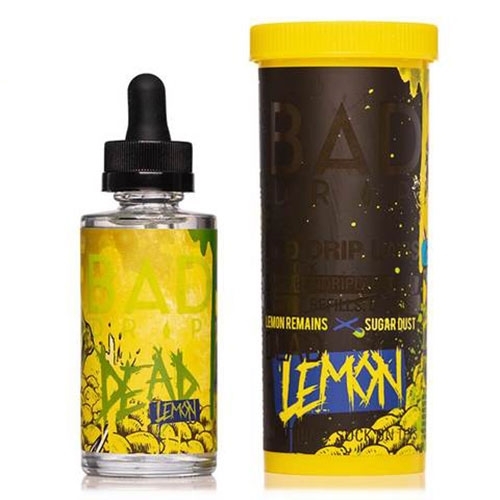 Bad Drip created Dead Lemon e-liquid to celebrate the sad life of this bitingly, sour little fruit. Don't be sad for poor lemon, its essence has emerged as an electrifying and zesty new vape with a bold, lemony tartness that's been tempered with a touch of sweetness to adjust its attitude. Brace yourself for an invigoratingly tart and tangy taste treat with a just enough sweetness to blast your taste buds into another dimension. Breath new life into your daily vaping routine with Dead Lemon in 60ml bottles.